Queen had three semi-final appearances, two finals and one championship from 2010-2012. Freddie Mercury is back! Music tournament veterans know that from 2010-2012, no artist dominated our music tournament landscape like Queen. 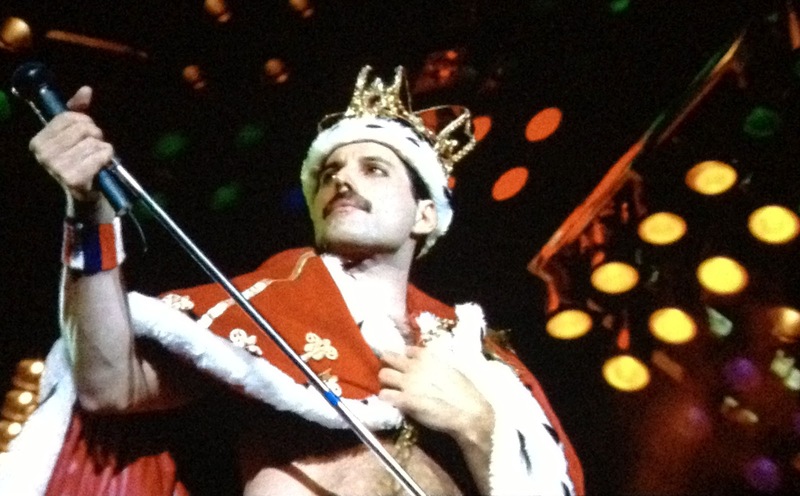 One of Freddie’s solo numbers headlines a list that includes the Stevie Wonder and Radiohead. You can listen at the bottom of this playlist and vote by commenting below before 11:59pm on Thursday. #4 The Great Pretender (Freddie Mercury) vs. #13 Mary Don’t You Weep (Bruce Springsteen and Seeger Session Band). #4 Sloop John B (Beach Boys) vs. #13 Fiona Apple (Across the Universe). Fiona had the highest scoring Beatles cover of the pre-lims, but now she goes against the vocal onslaught of the Pet Sounds-era Beach Boys covering the Kingston Trio. #5 Ceremony (Radiohead) vs. #12 Atlantic City (The Band). The video of Radiohead covering New Order, clearly one of their influences, is fun and a little intense. Bruce is all over this tournament, including this seemingly anachronistic Band cover. #2 Mr. Tamburine Man (Byrds) vs. #15 The Passenger (Kid Loco). When the Byrds first broke on the scene, they were called a cross between the Beatles and Bob Dylan, which makes sense, because they were basically imitating the Beatles sound while covering Dylan songs. This one is particularly stunning. Meanwhile, Kid Loco’s Iggy Pop cover did quite well in the pre-lims. #3 We Can Work It Out (Stevie Wonder) vs. #14 The Orchids (Califone). Califone may have gotten out of the pre-lims, but they are running smack into a legend who just sounds like he’s having a blast with this cover. This entry was posted in Uncategorized and tagged Best Covers of All-Time, Freddie Mercuty, Music Tournament. Bookmark the permalink. freddie’s cover suffers from terrible 80s over-production. i don’t know what people were thinking for like, a decade +, records sounded awesome in the 70s. maybe it was all the coke? his voice is still there, damn! i was pumped when this springsteen record came out and bought it – but i was a little disappointed. just seemed ramshackle and i realize i really don’t enjoy listening to fiddles. Kinda cool ceremony cover, radiohead really makes it sound like a joy division song! sorry, can’t decide, both awesome, completely different tunes. i’d give anything to have been chilling in the studio when stevie was recording this. damn! You can’t really over produce Freddie. He does it all by himself. Hadn’t heard this one before but I loved it. And “the fiddles,” they were the best part. Not big on either of these but this was a better take by Fiona than the one in the prelim. Janos 8.4 8.6 , second straight vote for the underdog- where’s Spoon? Just realized when I posted our votes I reversed WCWIO and Orchids by mistake….